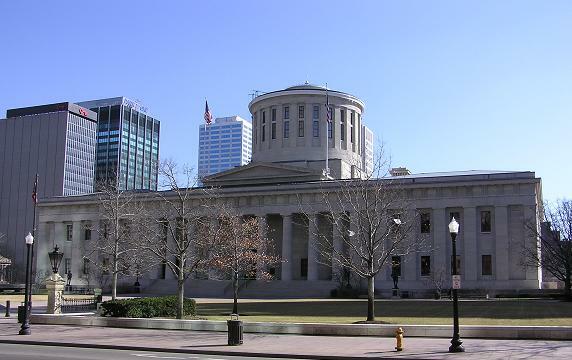 Another hurdle was surmounted in the saga of the controversial Ohio Senate Bill 5 as the Ohio House passed a modified version of the public employee union reform bill that passed the Ohio Senate a few weeks ago. The Senate now has to vote on the changes, and it’s widely expected to pass there without too much of a hang-up, then get sent to Gov. John Kasich’s desk for signature and final passage. Senate Bill 5 shares much in common with the collective bargaining bill that passed with much national fuss up in Wisconsin, but for some reason with almost zero national coverage compared to the swarm of cameras in Madison. There have been protests and much gnashing of teeth, but nothing approaching the union-induced mayhem that reared its ugly head in the Badger State. That’s surprising because SB5 goes farther than the Wisconsin bill does, extending collective bargaining reform to wages and including police and firefighters in the scope of the legislation. In addition, it will force public employees to contribute more towards their health insurance and pensions, and ends the practice of automatically deducting union dues from public employee paychecks. I know there are a lot of hard-working public employees out there, and I fully support all the good teachers, police, firefighters, and other administrative officials that keep government services running – I just don’t have much love for the unions that claim to represent them. When you’re talking about public employee unions, it’s important to realize that all the money being tossed around isn’t eating into the profit margin of a Fortune 500 company, it’s coming out of taxpayers’ paychecks. It’s not the state’s money, it is the money of the people of Ohio who are on the hook for whatever benefits and pay scales the unions negotiate with the politicians they campaign for. There seems to be a lot of talk that this will absolutely impoverish public employees going forward. First of all, it’s true that many will have to take a pay cut – but so have a lot of people in the private sector, who will still pay more for their benefits than public employees will under this bill. But more importantly, regardless of the political power of the unions, it will always be in the best interests of a community to have the best police, fire, and school systems they can afford, and therefore will still have to pay their people competitive wages to keep up with other localities. This is especially true when you consider that collective bargaining for public employees has only been around in Ohio for 27 years. It wasn’t as if police and firefighters were eking out poverty-level existences prior to 1983 and only the advent of collectively bargained union contracts saved them. Public employees were paid fairly before collective bargaining, and they’ll be compensated fairly afterwards. Even after Gov. Kasich signs the bill, the fight will most likely not be over, as union opponents will be launching a ballot initiative to overturn the law. Make no mistake, the opposition has less to do with protecting workers than it does protecting the muscle of public employee unions, who scream bloody murder at the thought of any kind of money-saving concessions. I want Ohio’s police, firefighters, and teachers to be paid what they deserve, but I don’t think you need all-powerful unions to achieve that.